Like materials. Maybe too Asian looking but like the cant in the stone. Love entry sticking out more than ours and each column has its own roof. Also like how entry is grand but comes down lower than ours. Sturdy. Outdoor area picture is killer. 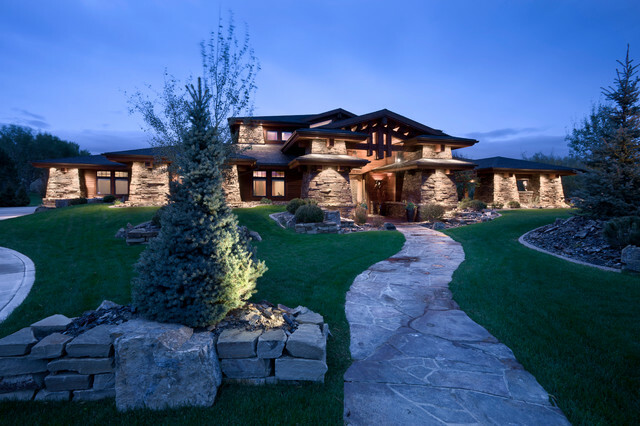 Tuhaye, Park City, Utah by Cameo Homes Inc.